The Internet is flooded with various paid and free plugins that offer various functionalities. Every other WordPress site on the internet uses at least 10-15 plugins. Even I use 20+ plugins on my main money site and some other sites too. While some of the plugins have now become a necessity there are other plugins that offer little to no use and should not be used. 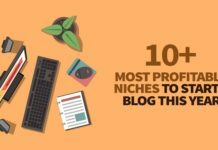 Here in this post, I will be taking you through to 10 best plugins that every newbie blogger should use on their blog. Just remember one thing, these plugins offer extra functionality and when they run they put a load on your site which means it will take longer for your site to load. So it is better to use only those plugins that are necessary, lightweight and offers great functionality. I have tested various plugins over the last few years and here in this post, I am listing top 10 plugins that every newbie plugin should use. 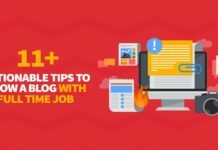 Yoast is a must have a plugin for every blogger. It sets your site in terms of SEO, creates an xml site map, allows you to enter title and meta description form just post itself. And this all comes from the free plugin they offer. A premium plugin has more advanced features. One of the best features of premium version is that it quickly allows you to link to your own internal posts by grabbing the link from the sidebar. You must take back up of your site regularly. You never know when your server can crash and you may lose your access to all the files. It is therefore important to take back up on your own. There are many plugins to take backup but I personally feel BackUpWordpress as the best among all. You just need to tell it to take backup of database and files together or separate. You can even configure settings if you do not want any folders to be included as a part of the backup. Back up is created instantly which actually depends on the size of files and database. You can download it as a zip file and store it on your laptop. I always recommend maintaining at-least 3 copies of the last backup of your blog. Again, your host might also be doing the backup but it is important for you to take the website regularly. Do not depend on your host to take the backup. You must have your own backup copy of your site. Slow loading websites are things of past. Today people can’t wait for a website to load. They want to check the blog quickly. It is important for your blog to load quickly. Here W3 total cache helps you. As the name suggests, W3 total cache offers caching services which cache static content on your site and requests for those files does not go to your server. In short, the request for static files is rendered by caching service. Few requests mean your web server is not overloaded and content is rendered locally. W3 total cache to increases speed and page performance using browser caching, database caching, and more. You have created the content and want other people to read share it too. Right? Here social media warfare plugin comes into the picture. This plugin allows people to share your awesome content on several social media sites. Social media warfare plugin cost about $29/per year for a single website. It’s a great plugin and I recommended using this plugin on your site. It offers both free and paid version though the pro version has some extra benefits. You can start using the free version and if you like it and then go for the pro version. Broken links hamper the ranking of the site and make look site ugly. Broken links are common and should be fixed whenever you come across them on your site. It is, of course, not possible to traverse each link manually and check for its correctness. Here broken links plugin comes into the picture. Broken links plugin scan your posts in the background and give you the list of links that are pointing to 404. You can either fix those links by point to original URL or remove the links altogether. Again, it’s a very useful plugin to fix 404 errors on your site. Who doesn’t want free traffic? Everyone wants it. 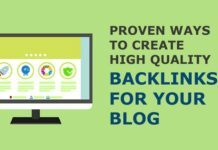 Getting your posts in front of your readers without paying an extra penny is the easiest way to get quality traffic on your blog. I am talking about push notifications. Push notifications have become quite popular in the last couple of years. If you are a regular visitor on the internet you must have seen those pop-ups asking you to subscribe. One such free plugin is OneSignal. You can use this plugin to send unlimited notifications to your subscribers. There are other paid notifications software too but this one does the job for free of cost. We all use images on our site to make it looks neat and fancy. Almost every blog post that is published on the internet has at least one image on it. Most of the images which we use on our blog are heavy. So it means when your page will get loaded it is going to take a good amount of time due to the heavy size of the image as your page size is going to increase. Shortpixel solves this problem by reducing the size of your image. It is free as well as paid plugin. Free version offers 150 credits which means you can use this plugin the reduce size of 150 images. Pro version costs a little bit and offers more credits. I use this pro version and use it on a few of my websites. This is actually a great plugin to reduce the size of the image and reduce the page load time. Author box is a rectangular box that appears on the bottom of the post. It tells about the brief bio of the author along with his image. Some themes have this inbuilt feature. If your theme does not support this feature then grab this plugin for free of cost. This is one of the plugins that you may not need initially but you may need it later. This allows you to set up 30 redirects or 404 to correct ones. This is a very hand plugin and fixes 404 errors. For e.g. : if you have published a post and after a year or so you thought to change the URL to a meaningful one but that URL has already been indexed by Google. Changing the URL means losing all the traffic for the page. Redirection solves this problem by redirecting the old URL to a new one. Notice the difference in URL. This one is a cloaked URL and looks more decent and elegant.